Gospel Day is a public holiday in Tuvalu celebrated on the Monday after the second Sunday in May. It commemorates the arrival of Christianity on the archipelago in the 19th century. Christianity was brought to Tuvaly by Elekana, a deacon of a Congregational church in Manihiki, Cook Islands. In 1861, he was caught in a storm and drifted for two months before landing at the atoll of Nukuaelae. He began to proselytize among the inhabitants of the archipelago. The first European missionary, A. W. Murray of the London Missionary Society, arrived in Tuvalu in 1865. By 1878, preachers had established Christianity on each island of the archipelago. 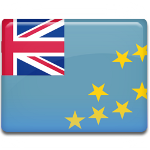 The national church of Tuvalu acquired its independence from the London Missionary Society in 1969. It is called the Congregational Christian Church of Tuvalu. The Church of Tuvalu is congregational in organization and Calvinist in doctrine. Although the overwhelming majority of Tuvalu's population are Christians, there are other faith groups as well. They include Seventh-day Adventist, Baha'i, Jenovah's Witnesses, Roman Catholics, Baptists, Muslims, Mormons, and atheists. The country's constitution guarantees freedom of religion.